FIT4MOM Las Vegas is proud to partner with these Preferred Providers offering exclusive discounts and incentives for our Members! Planning a special party for your little princess? Make her day extra magical and have her favorite fairytale princess show up for a surprise visit! A Magical Day offers over 10 characters to choose from and a variety of different party packages. We make every experience magical and we promise to create wonderful memories that will last a lifetime! FIT4MOM members receive $10 off any party package offered. Artsy Nannies is a licensed, bonded and insured employment agency that employs on-call nannies. We have completed several background checks, are all CPR and First-Aid certified and employees of the company. Families can come to our location or we can travel to their location. The children participate in age-appropriate arts & crafts and games. FIT4MOM Members receive 10% off memberships at the Town Square location. At Aveda, we strive to set an example for environmental leadership and responsibility, not just in the world of beauty, but around the world. 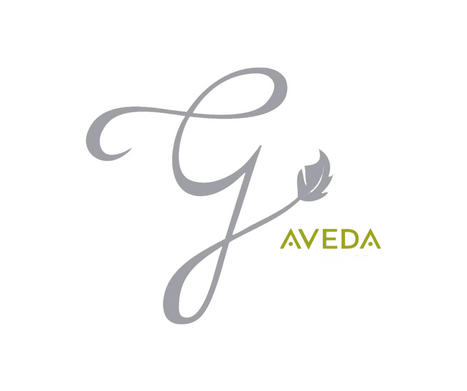 Aveda's goal is to provide beauty industry professionals with high performance, botanically based products that would be safer for service providers and their guests, as well as for the planet. FIT4MOM Members receive 10% OFF services with a FREE Botanical Hair Treatment (Aveda version of a protein based deep conditioner) we just ask for a social media tag or shout out! Balloons With A Twist is your full service party and event planning company with over 24 years of experience in the Las Vegas Valley. They specialize in entertainment for every occasion including balloon artists, face painters, magicians, jugglers, stilt walkers, caricature artists, costumed characters, clowns, airbrush tattoo artists, and more. They also have DJ’s, photographers, photo booths, videographers, inflatables, rentables, carnival games, food carts, balloon decor and deliveries. Whether you are planning a backyard birthday party, or a large scale corporate function, Balloons With A Twist will help you create the perfect event! FIT4MOM members receive $10 off any service offered! Feel rejuvenation, tranquility and balance before, after and during pregnancy in our beautiful multi-faceted facility. Belly Bliss is a complete wellness center for all women, but we specialize in pregnancy and that extraordinary journey into motherhood!! Belly Bliss has everything you need all in one location, including massages, facials, waxing, baby gifts, diaper bags, educational classes and fitness classes! **Belly Bliss is proud to offer all FIT4MOM members 10% off any a la carte spa services! The FIT4MOM Stroller Strides Fitness Stroller by BOB is mama's favorite jogging stroller, as it is durable, reliable, and works on a variety of terrain. For the past 15 years, the BOB Fitness Stroller has been our exclusive choice for its ability to take us off the beaten path. It does extremely well hiking through uneven surfaces, tackling dirt trails, plowing through beach sand, and gliding over gravel. It's also great for urban shopping, running errands, or taking a walk with the fam. The dead come to life at Borracha. With decorative and festival skulls watching over guests, Borracha, located in Green Valley Ranch, is as dangerous as you want it to be. With a nod toward the famed Day of the Dead, the Borracha offers Mexican-inspired dishes and features a drink menu with an abundance of cervezas, tequila and specialty cocktails to take the edge off. FIT4MOM Members receive $10 off their check of $45 upon presentation of coupon. Freshness is tantamount at Bottiglia, from the luscious herb-friendly cuisine to the breathtaking ambiance. Located in the stunning Green Valley Ranch, Bottiglia is an ageless restaurant that offers sophisticated rustic Italian fare, cuisine that is approachable, friendly and savory, as well as a wine list that is robust and unique, giving guests and array of choices of vino from Napa, Sonoma, Italy, France and all around the world. FIT4MOM Members receive $20 off their check of $60 upon presentation of coupon. Learn, Laugh, Love and Bond with your newborn, infant, toddler and preschooler! Join City Lights Music Together and experience the magic of music-making in class and out! Our research-based classes nurture your child's inner musician and share the joy and educational value of family music-making. Join us for our Spring Tambourine Collection - which includes 10 weeks of singing, dancing, jamming fun, along with a Songbook, 2 CDs, Parent Guide and DVD! *Mention that you learned about us from FIT4MOM and receive a free CD and a bag of instruments when you register for one of our Music Together classes in Summerlin, Henderson, NW and SW! Looking forward to singing and dancing with you! Personalized Morse Code and hand stamped metal jewelry made with love in Las Vegas. Bracelets and necklaces custom made with your meaningful name, word or number in Morse Code- dashes and dots full of meaning. Facebook: /dashanddotjewelry Instagram: @dashanddotjewelry ***FIT4MOM Member, use promo code FIT4MOMLV for 20% off your order! Las Vegas Baby Co. offers customized care and support through pregnancy, postpartum and parenthood. Our experienced doulas provide unbiased support and evidence-based education to you and your family. In addition to our professional doula services we offer a variety of childbirth and parenting classes, breastfeeding support, placenta encapsulation and more! Hello! My name is Essie, owner of Essie Rose Photography! I am a wife to a wonderfully supportive husband and a mother to two awesome girls! I have always had a passion for little ones and I know first hand how fast they grow! Capturing all of their sweet moments is so so important. While pregnant with my second little one the idea of Essie Rose Photography swirled in my head. And with the loving support of my family and friends, I was able to make this passion something I could share with others. I am passionate about my business and I hope it shines through in all that I do. Whether it’s a maternity, newborn or family session, I hope to capture all those special moments for you! FIT4MOM Members receive exclusive discounts! Fashion & Fairytales Boutique offers Stylish and Unique Apparel, Accessories & Gifts for Ladies, Kids & Baby! Our small shop is owned by a local mom who wanted to create a one-stop-shop for ladies (moms, grandmas, aunts & dads) where they can find cool, fashionable items that are not available everywhere. We offer the perfect baby shower and birthday gifts as well as clothing and accessories that are a great addition to any wardrobe! Come in and shop with us-we'd love to help you find something special! FIT4MOM Members can like us on Facebook or follow us on Instagram to activate a 15% discount. Firehouse Subs is a franchised family owned business, founded by firefighters, that offers steamed sub sandwiches and salads. We now feature a 500 calorie menu that includes sandwiches and salads for the health conscious. People come back again and again because, unlike other sub places, we steam our meats and cheeses, releasing a rush of flavors, then stuff a serving that’s way over code on one of our toasted private recipe sub rolls. Since 1959, Freed's Bakery has been baking delicious memories from fresh ingredients. Voted Best in Las Vegas for over 30 years, Freed's serves an incredible assortment of handmade cookies, cakes, pastries, and desserts. *Stroller Strides Members receive an exclusive 10% discount off all purchases of $25 or more including all retail and bakery items, special order cakes, and cupcakes! Fun Lane Indoor Play is an indoor playground owned and operated by a Henderson family. Fun Lane is a 3,300 square foot clean, safe, and climate-controlled place where families and friends can kick-off their shoes, play, and socialize in Henderson, Nevada. Fun Lane caters to toddler age through 12 years old and their parents/guardians. We never charge for parents or caregivers and older brother and sisters! Fun Lane offers FIT4MOM members a special admission price of $7 per child! 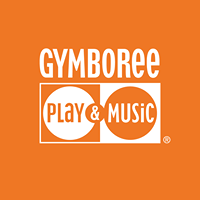 Gymboree Play & Music has been fostering creativity and confidence in children ages 0-5 for over 30 years. Today there are over 550 locations in 30 countries, making us the global leader in early childhood development programs. Designed by experts, our age-appropriate activities help develop the cognitive, physical and social skills of children as they play. Our programs are also recognized for their unique approach to parent involvement—which encourages participation in and understanding of each child’s development. There is so much to explore with Play & Learn, Music, Art, Sports and School Skills Classes! Join us for a free preview class today! 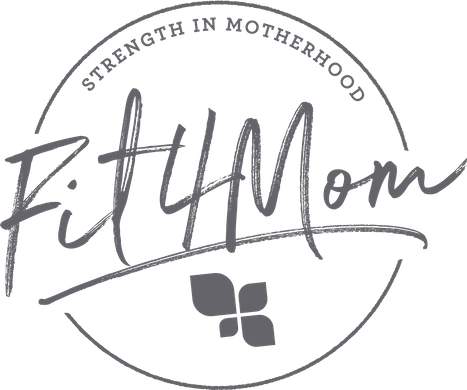 Fit4Mom members will receive No New Membership fee ($40 value) and a special membership price of $55/month for one 45 minute class per week plus unlimited Open PlayGym - offered 5 days/week! Smile. Your search for a family dentist is over. Our entire team is dedicated to your comprehensive care with advanced proven technology. We are proud to support you and your family in the quest to look, feel and smile your best. Book an appointment today and receive a FREE Mommy and Me Electric Toothbrush and we’ll look forward to seeing you soon! Hearthstone Kitchen & Cellar offers guests pure, carefully crafted house-made fare from the highest quality sourced ingredients. At the heart of Hearthstone’s comfortable, eclectic interiors stand two rustic wood-burning ovens where savory, authentic dishes are freshly roasted every day. Hearthstone’s menu reflects a simple and pure approach to refined cuisine that honors and respects food. Enjoy artisanal salads, shared plates, charcuterie selections and signature entrees made from scratch, while also indulging in wine from Hearthstone’s impressive wine list. FIT4MOM Members receive $20 off their check of $60 upon presentation of coupon. Since its founding in 2004, KIND has been on a mission to help people do the KIND thing for their body, their taste buds and their world. What began with just 8 bar varieties in 2004 has grown to more than 77 delicious bars, clusters and snack bites, with a multitude of new recipes being perfected and refined to our standards in the KIND kitchen every day. Our goal is to make the world a little kinder one snack and one act at a time. LaLa photography provides your family with beautiful memories that are affordable. Special discounts for FIT4MOM Members! LVPRC’s unique multi-disciplinary approach integrates the latest in internal and external medicine (including Active Release Techniques (ART), chiropractic care, functional rehabilitation, proper nutrition and injection medicine) to deliver the very best overall outcomes. Our TEAM is dedicated to treating the cause of the issue(s) and is not just chasing symptom(s). FIT4MOM Members receive discounts on treatments, call (702) 948-2520 for more information. Little Local is a Montessori inspired indoor playground geared for children 0-5 years old. We provide an open space for children to run and explore in our clean and eco conscious play space. We offer FIT4MOM a special deal of $10 all day entry and %10 off of party reservations. LoveBug Baby & Kids is a lifestyle boutique that is mom owned and operated since 2008. We feature a specially curated collection of gifts, eco-friendly toys, and unique apparel for infants, toddlers, and moms that you cannot find anywhere else in the Las Vegas valley. We strive to promote shopping local and small, and our inventory reflects our beliefs in supporting family owned businesses. Follow us on Instagram at @shoplovebugbaby to get New Arrival updates and more! We now have two locations you can visit in the Downtown Summerlin Mall and in Henderson off of Eastern/215. FIT4MOM Members receive 15% Off of One item each time they shop whenever they check in on Facebook or like us on Instagram. Lunchbox Wax is a full ­service, speed­wax salon. The quick gist: People walk into Lunchbox Wax with hair they don’t want. Just a handful of minutes later, they leave without it, and they stay that way for weeks at a time. We cater to women and men who are mindful about the people they choose for personal care. We wax bottoms and brows, cheeks and chests – a little (like ear fuzz) or a lot (from tip to toes). Come in for some personal time or bring the kiddos! We have toys handy to keep little hands occupied. Busy moms can book on line (www.lunchboxwax.com) or call us 702­-826-­3311. We can't wait to see you! FIT4MOM Members receive 20% off total service amount. Virtual gift bag: Moms you rock. And for that, you deserve something special. Please come in for a complimentary eye brow makeover to remind you that all of your awesome talents don't go unnoticed! Miracle in Progress is a 3D ultrasound studio that has been locally owned and operated for 8 years. Come visit us and you and your family can bond with your baby as you see them wiggle around inside. We have the newest technology which allows stunning images in HD. Our home theater style viewing room makes it comfortable for the whole family and no one misses anything on the 120 inch screen! Find out if you are having a boy or a girl as early as 14 weeks. Fit4Mom members will receive 20% off all packages. If you’re not looking for full-time help, Nannies & Housekeepers gives you unlimited access to our skilled and professional candidates on an on-call basis. A membership will provide you with nannies, housekeepers, chefs, tutors and pet care on an hourly basis. Whether you are planning a date night out, need a last minute housekeeper, chef for a romantic dinner, or someone to fill in while your permanent help is out, rest assured that Nannies & Housekeepers’ Umbrella Registry On-Call can help you with your needs. Nannies & Housekeepers offers FIT4MOM Members a discounted Umbrella Registry On-Call annual membership rate of $69 and a discounted booking fee of $20. Party Ever After is a Las Vegas based children's entertainment company providing singing princesses, super heroes and pirates for your next party or event. We offer packages for everyone's needs. From a 30 minute meet and greet to a full service tea party! Contact us today for a quote and don't forget to mention you belong to FIT4MOM for your exclusive discount of 10% off any package! Pas De Deux Children’s Couture Boutique in Tivoli Village at Queens Ridge is proud to offer FIT4MOM Members 10% off our selection of upscale and unique clothing for infants, babies and young boys and girls up to size 10. We specialize in fancy, dressy attire, vintage and shabby chic styles, and one-of-a kind gifts, accessories, books, trinkets and toys for babies and children. Like us on Facebook or follow us on Twitter to activate your 10% discount and join the Pas De Deux (Step for Two) VIP Program. Your business image is everything, so we offer graphic design, logo design, and web design services to help your business look professional and expand its reach. We have a team of highly-skilled illustrators, designers, and web developers that are passionate about what they do. Let us be a part of your vision. FIT4MOM Members receive $100 off a custom website design and 10% off any graphic design. Whether your child is crawling, learning to walk, or running all around, pediped® has a stylish shoe that fits comfortably and ensures healthy foot development. Each of our three footwear lines is specially designed to meet the needs of a particular walking stage while looking stylish, too! *FIT4MOM Members receive a 15% off discount every day. Use code: FIT4MOM to receive your discount. Regenerate Me specializes in IV Vitamin Therapy, Hydration, Anti-Aging (Bio-identical Hormone Replacement Therapy), Cosmetic Enhancements and Concierge Treatments. IV Vitamin Therapy helps jumpstart muscle, tissue and stress recovery with a concentration of high dose amino acids, anti-oxidants, and vitamins directly into your blood stream. Regenerate Me promotes health and wellness by helping to restore and optimize your body’s natural balance. We use our knowledge and insight to help patients achieve their desired health, beauty, wellness and anti-aging goals. FIT4MOM Members receive 10% off Drips, Pushes & Boosters. At REI, we inspire, educate and outfit for a lifetime of outdoor adventure and stewardship. Visit us in Henderson and Summerlin for all of your outdoor recreational needs including jogging strollers, baby carrier backpacks, and more! *Stroller Strides Members receive exclusive discounts/coupons! The Orthodontic Clinic at Roseman University is committed to providing outstanding orthodontic care without the high cost. All of our orthodontic residents are licensed dentists in the State of Nevada and are teamed with highly qualified, board certified or board eligible faculty to provide comprehensive orthodontic care to patients of all ages. FIT4MOM Members receive a free screening and 5% off our already low cost of treatment. FIT4MOM Las Vegas is a proud partner of Summerlin Hospital! The BirthPlace, FamilyPlace, and Women Enlightened Program offer incredible support and educational opportunities for women and their families. Stay tuned for educational workshops and fitness classes at Summerlin Hospital brought to you by FIT4MOM Las Vegas! The Sunrise Health System of hospitals and health services takes care of you and your family including everything from minor cuts and bruises to serious emergencies. Our network includes three hospitals, five ERs, a dedicated Pediatric ER, Level II trauma center, comprehensive Children’s Hospital and 16 Care Now Urgent Care centers. Southern Hills Hospital & Medical Center, Sunrise Hospital & Medical Center, Sunrise Children’s Hospital, MountainView Hospital, ER at the Lakes, 16 Care Now Urgent Cares. Know Before You Go: The closest ER is not always the fastest. Make the right decision by texting “ER” to 23000 and replying with your zip code. Get average ER wait times sent directly to your mobile phone. No matter where you are in the Las Vegas Valley, our hospitals and urgent cares are conveniently located with expert physicians and nurses specially trained to provide superior care. The Birthday Suit is a full service waxing spa that caters to the needs of the diverse Las Vegas community. Our mission is to provide top notch services and exceptional product lines at incredibly affordable and competitive prices. Our family friendly "Kid's only" waiting room, separate from our standard waiting area, allows for parents to get what they need to get done, without worrying about a babysitter for a 20-30 minute service. **Stroller Strides Members receive a 10% discount off regularly priced services and retail items. Everyone loves cupcakes and nobody makes them better or tastier than The Cupcakery™. All our cupcakes are made with the finest and freshest ingredients and are baked on premises. Our frostings are made with 100% fresh butter and 100% fresh cream cheese. We do not use shortening in any of our recipes. 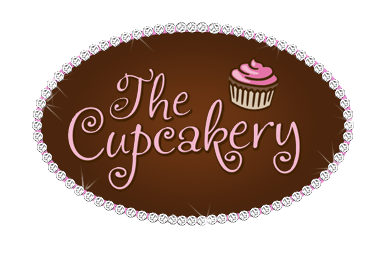 The Cupcakery™ Summerlin offers FIT4MOM members 15% off any purchase! Please note, this offer is only valid at the Summerlin location. We take great pride in capturing those little hand and feet. For 15 years, we have been making memories, and creating lasting impressions. We offer private appointments and home shows. Many shapes and sizes, and 28 colors to choose from. *FIT4MOM Members receive 10% off any item! Straight out of a fairytale, Wonderland Bakery mixes childhood favorites with dashes of Willy Wonka and Candyland. The bakery specializes in custom cakes, cookies, creatively crafted desserts, themed baskets and whimsical workshops. FIT4MOM members can enjoy a 10% discount off workshops and retail items. 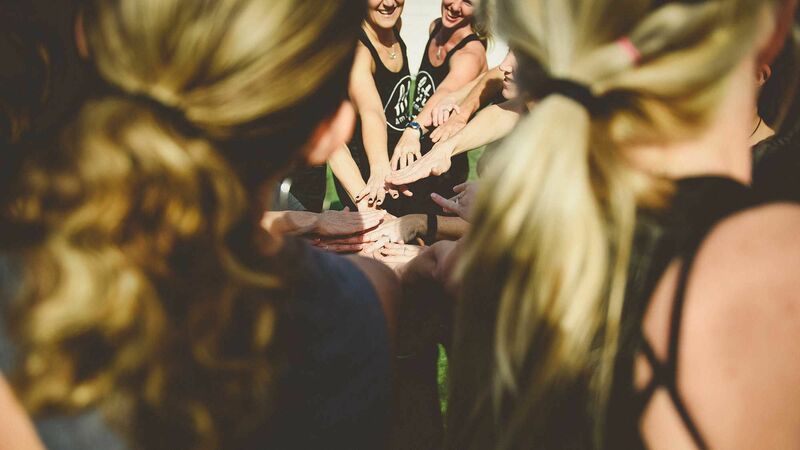 *discounts cannot be combined with any other offers or promotions - FIT4MOM MEMBERS MUST PROVIDE PROOF OF MEMBERSHIP IN ORDER TO BE ELIGIBLE FOR DISCOUNTS.